Do or do not: there is no try. 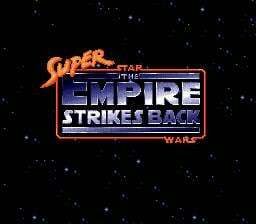 Following up on the success of Super Star Wars, LucasArts released Super Star Wars: The Empire Strikes back (a.k.a. Super Empire Strikes Back) to an audience already hyped and waiting. As we discussed in our previous review, the story barely paid lip service to the movies, and this release is little better. 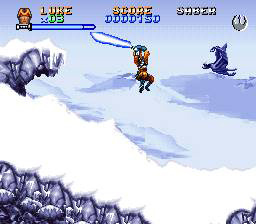 Even so, the game was a success before it even hit store..
Will You Accept the Challenge as a Jedi Knight? 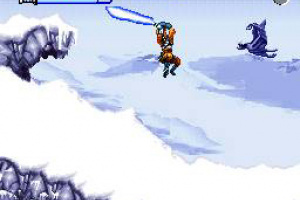 Pursued across the galaxy, you and your Rebel Forces now marshall new strength on the remote ice world of Hoth. Although tracked by probe droids, attacked by ice monsters, and confronted by an army of gigantic Imperial Walkers, you must not give in. You are the Alliance's only hope. 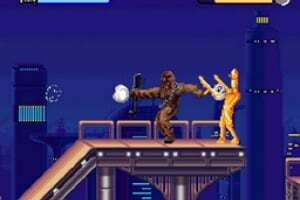 Learn the ways of the Force, then test your skills in this fast-paced, action-packed sequel to the hit game Super Star Wars. 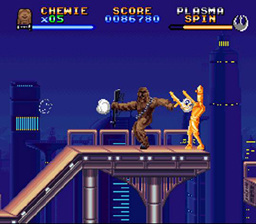 The player seems to be much more agile in Super ESB than Super Star Wars. This games is hard, but is fantastic too. 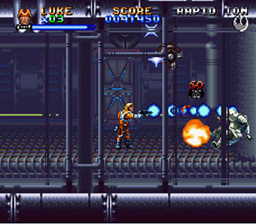 I´m very happy for Super Star Wars games on VC !! These games are just awesome! 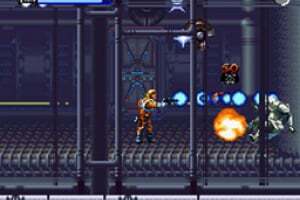 I used to own all 3 on the SNes! The addition of the password system was great, as all 3 are hard, even though SSW didn't have the password system. Shouldn't it be called "Super Star Wars: The Empire Strikes Back"? 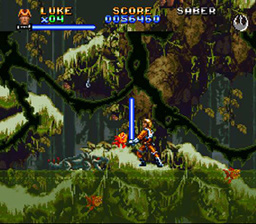 This game was the best of the three...and all three have been the best renditions of the SW movies since the rather lacking JVC NES version, and the weird NAMCOT (NAMCO) Jap Famicom version before it. 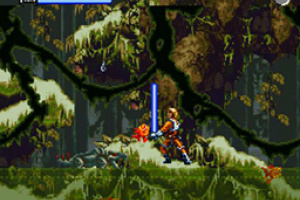 And that had Vader turn into a scorpion in the 1st level! tsk, tsk, tsk. 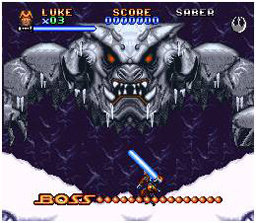 Seriously, when you think about it, there hasn't been a game on ANY CONSOLE, that has since given you the chance to play-out the movies from beginning to end, with mixing play styles, and close to original music (and before you throw Lego Star Wars at me, does Luke really look like a blocky figure in the movies?! Did he really take structures apart and come up with other stuff in the movies?). 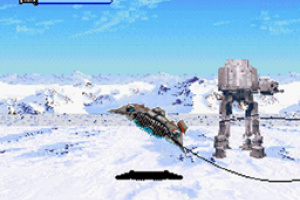 Rogue Squadron II and III each were awesome, but only offered portions of the movies...in separate games. Plus they were really better as flying games. 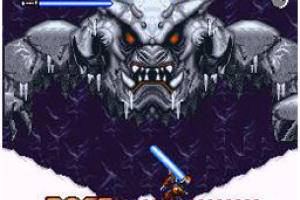 This SNES game, Empire Strikes Back, offers great sprites, cool graphic effects (mode-7, scaling and paralax), stellar music in JVC surround, the ability to play through stages with different characters, each with their own abilities (and idle animations), a nice password system, creative gameplay, and all at an awesome value of 800 points! 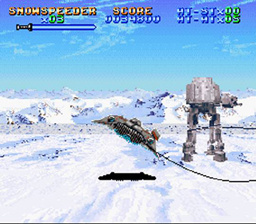 If you're not getting the game for the visuals, get it for this reason: This is the ONLY game that lets you play The Empire Strikes Back in totality. 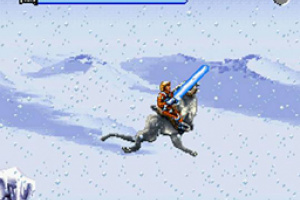 This game is more of a gem among Star Wars games. 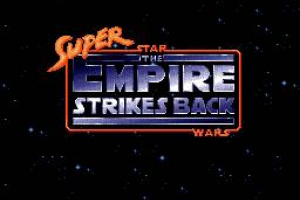 It can only be read as "Super Empire Strikes Back" if you ignore the definite article as well as the frame around the inner title (which has been colored the same as the word "super" to indicate its order / priority). 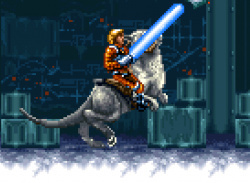 The game is just a "Super Star Wars" sequel with an additional subtitle, best represented with a colon. 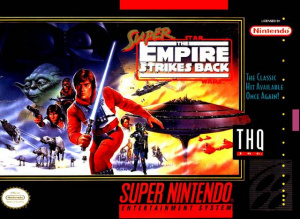 Besides, "Super Empire Strikes Back" just sounds absurd. The "super" empire is striking once more? Other than the totally non-canon ending, this is an awesome game. 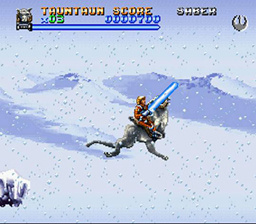 Hmm... or perhaps it's "Super Star The Empire Strikes Back Wars". That sounds like a great compromise to me, and easily read from top to bottom; let's go with it.